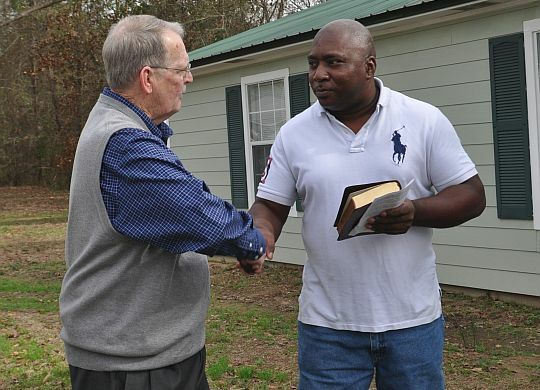 When Michael and Tammie Williams walk in the front door of their new home in the Legacy Acres subdivision of Minden, La., they will never forget the good-hearted people who supported their dream — including Duane Cloud, in whose memory this home was dedicated. Cloud, who was a longtime supporter and volunteer with The Fuller Center for Housing, died last year. The Williams home sits directly across from another home built in honor of a longtime Fuller Center supporter — that home having been dedicated in the memory of his wife of 58 years, Marty Cloud.